Xeriscape, a landscaping method that uses drought-tolerant native and adaptive plants to build gardens, is ideal for central Texas, where the climate is dry and hot. This gardening option conserves the region's water resources and reduces the need for fertilizers and pesticides, because the plants you grow have a natural resistance to local pests and thrive in the familiar soils and usual rainfall tables. Although a xeriscaped garden takes planning and work to get it off the ground, you'll also find it requires less maintenance than a traditional landscape once all the plants are in place. Locate a site for your new xeriscaped garden that's free of obstructions, such as building foundations and trees with wide root systems. Till the ground to a depth of 6 inches. Spread a 2-inch layer of organic matter -- such as shredded pine bark, rice hulls compost or manure -- on the turned surface. Till the amendment into the soil and rake the area to a smooth bed. 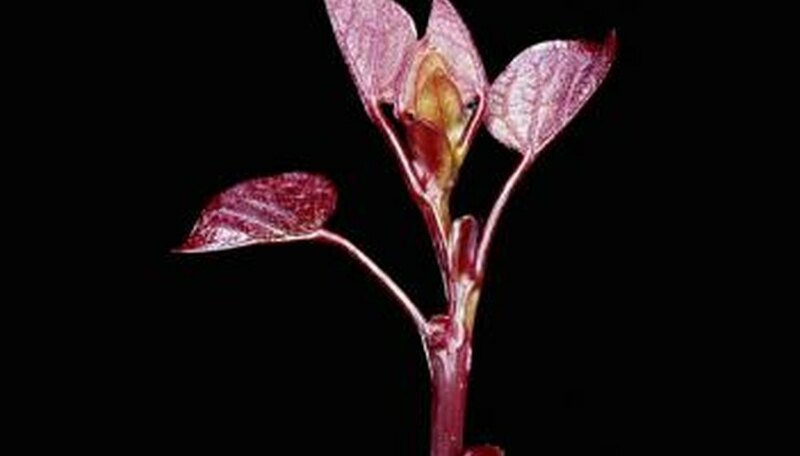 Select from a group of plants native or adapted to Texas. Buffalo grass and St. Augustine grass are xeriscape lawn choices for the north central and central regions of the state. Plant your xeriscape garden according to each plant's spacing requirements. Autumn sage, a Texas shrub with red flowers, needs 3 to 6 feet of space, for example. Install a soaker hose about 2 inches from the base of your plants. Verify that the hose is stretched out. Turn the water on to check that the water is flowing freely through and out of the hose. Turn the water off. Use a sprinkler instead of the soaker hose if you've planted grass. Apply a 3-inch layer of mulch to the uncultivated areas of your xeriscaped bed. Use pine bark, wood chips or compost, for example, to reduce water evaporation and to suppress weeds. Cover the soaker hose with the mulch material. Replenish the layer as the organic matter decomposes. Turn the water on and irrigate the plants to their root zones at planting, which, in general, takes 1 inch of water. Xeriscape plants require deep, infrequent irrigation. Wait until the soil surface dries and the plants begin to wilt to hydrate them again in the garden's first season. Entering fall and through the winter, water once a month if those months are dry. In the second season, hydrate your Texan xeriscaped garden if your area experiences a drought. Established native plants thrive on normal rainfall alone.